Seattle – myelife. my hope. One early August morning in 2009, our lives suddenly changed. Seattle, then 15 months old, would usually be found jumping around her crib ready to start her day. That morning, however, she was lying still, able only to move her head. 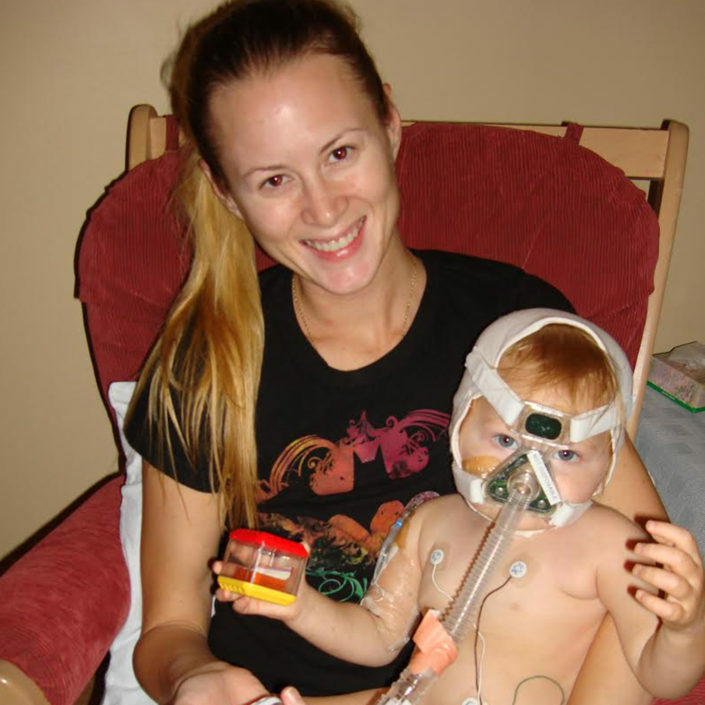 She was rushed to BC Children’s Hospital by ambulance, where she was immediately admitted to the ICU. In a matter of hours, she had gone from being healthy and happy to lying in a comatose state, paralyzed from the neck down, unable to breathe on her own. 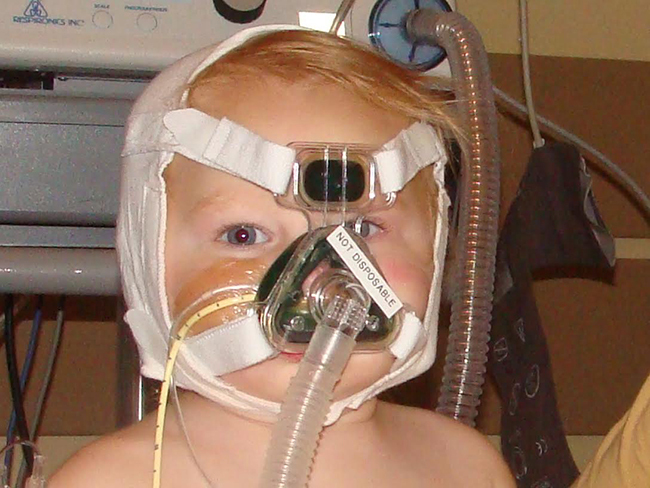 Nothing could have prepared me watching my baby girl be intubated and hooked up to countless life support machines, or having to ask her doctors if she was going to survive the night. After much testing, Seattle was diagnosed with Acute Transverse Myelitis, her spinal cord was attacked at C1 to T6-T7. We were told that she would likely remain paralyzed from the neck down, with possible brain damage. 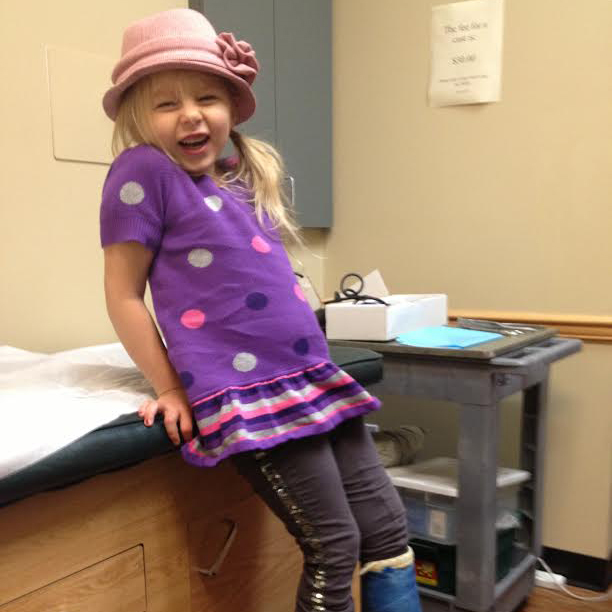 Months later, when she slightly wiggled one of her toes, I knew that wouldn’t be the case, that she would walk once again. Seven years on and mobile she is! 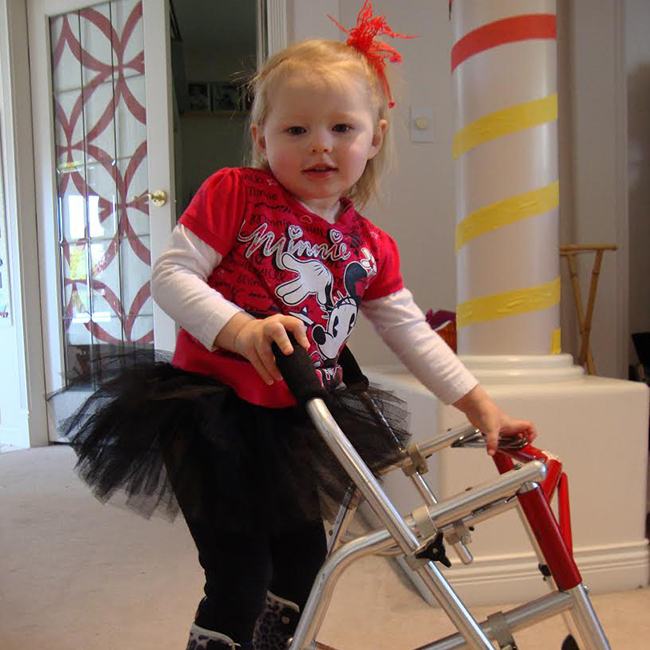 While she relies on her wheelchair for most activities, she is able to walk, dance and run. Thanks to rigorous PT, she re-learned to walk with the help of a walker and had AFO’s by her second birthday and was walking without help by her third birthday. She has overcome seemingly insurmountable odds but she fights and challenges everyone with full force. 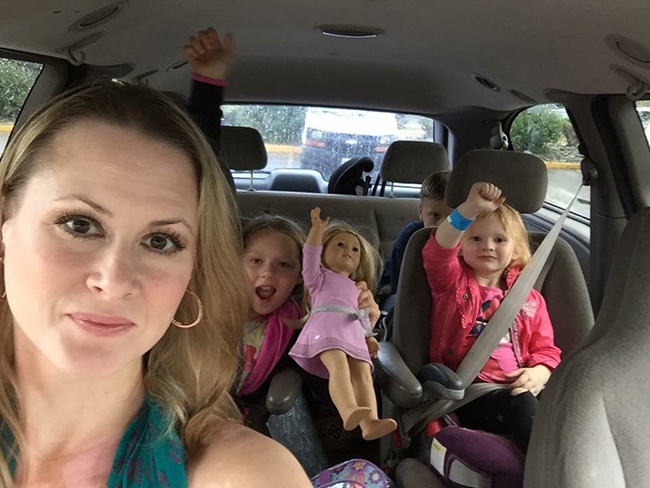 A few years ago, our lives changed drastically again, for the better, when she was taken on for treatment at Shriners Hospital in Portland, OR. 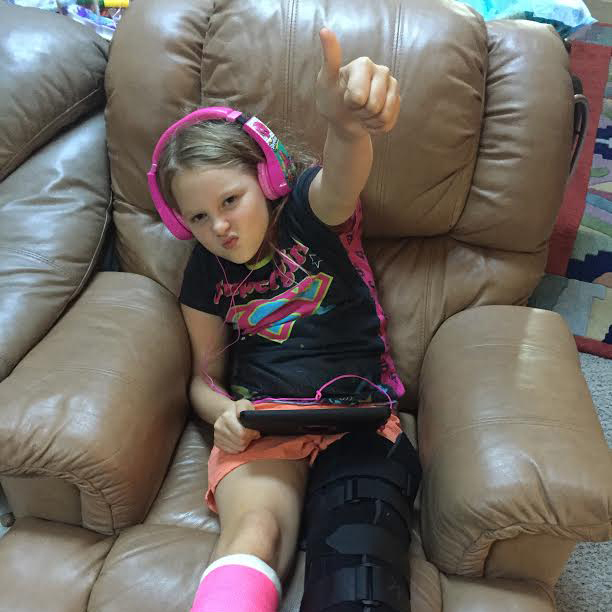 They provided her with excellent care and this past September, she underwent a major reconstruction surgery on her legs and left foot, because her bones were growing improperly after her initial onset. Her tibias were rotated, one 20 degrees, the other 40 degrees. Her left hamstrings were lengthened and her foot was reconstructed, complete with cadaver donor bone. The months leading up to the surgery were terrifying and filled with dread for what was to come but she of course, bounced back with her usual fighting spirit. 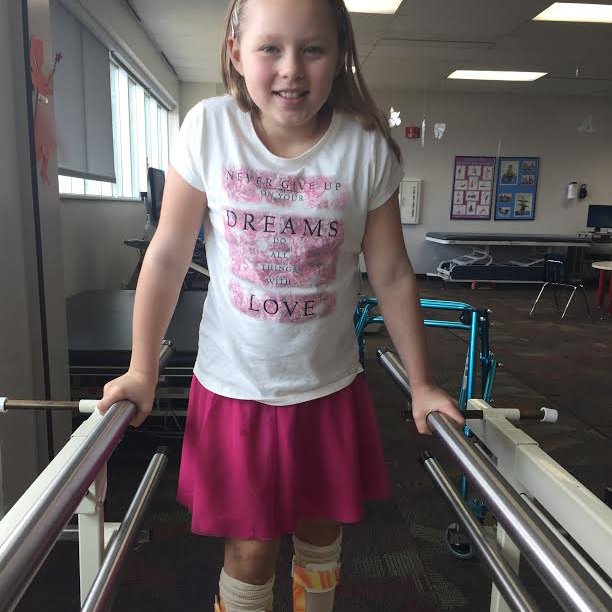 She was back at school exactly one month after her surgery, less than half the time that was expected and she is once again re-learning to walk with the aid of a walker and her AFO’s. It’s a slow and steady process that she is finding boring; every morning she asks if today is the day that she gets to run like her friends. She gets frustrated that everything didn’t change overnight after the surgery but she will definitely get there, no matter how long it takes. I can’t wait for the day when she runs across her school field alongside her classmates, for the day she once again dances, for the day when her courage and strength inspires another person the way that it has me and someone tells her that her story, her journey, is what kept them going and didn’t allow them to give up. Because giving up is something she refuses to do. She fights every single day to push herself further in her chair, to walk two extra steps, to stand for a few minutes longer. She is my inspiration. She is my hero. She is my daughter.